This 150 minute APM Scope Management elearning course is aligned to specification of The Association for Project Management (APM Body of Knowledge V6). 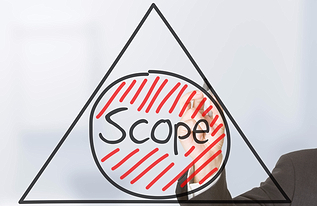 By taking this course you will learn about scope management in a project management context: the procedure of identify, defining and controlling benefits, outcomes and outputs. The course is extremely well made, using engaging case studies to guide the learner through the detailed material. This APM Scope Management course is designed for anyone who works with projects and wants to gain an holistic understanding of how a project is defined, developed and managed throughout its lifecycle. As poor scope-management commonly causes projects to fail, this course is essential for anyone who works with or manages projects. By taking this course you will gain understanding of scope management in a project management context. This course also provides the scope management learning required for anyone working towards a professional qualification.